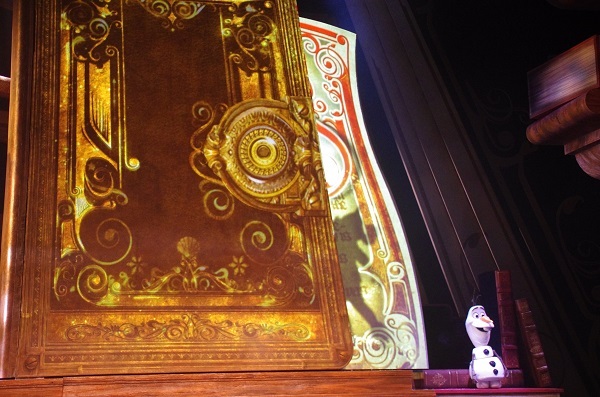 Hong Kong Disneyland celebrated its 10th anniversary on September 12th and the year-long celebration begins with its newest attraction: Mickey and the Wondrous Book. The show officially opens today – Tuesday, November 17th; however, as a Magic Access member, I was able to attend a special preview of the show. Spoiler alert: this post will include pictures from Mickey and the Wondrous Book, so don’t scroll too far down, if you want to wait to see it for yourself. The set is beautiful. It’s a stage propped up by stacks of books, so we’re all Mickey-sized. 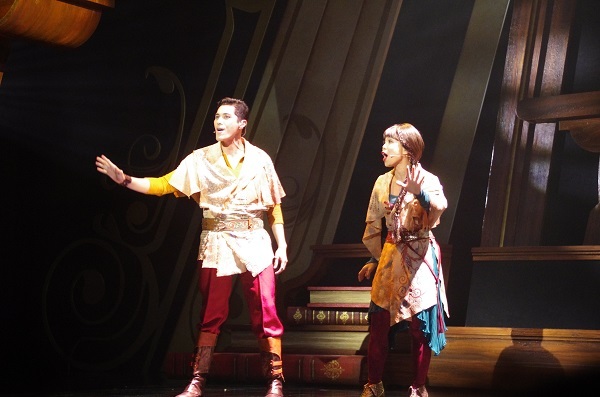 The stack of books ingeniously includes a translation screen, so the English-speaking audience can understand the Cantonese sections of the show and the Cantonese-speaking audience can understand the English sections of the show. 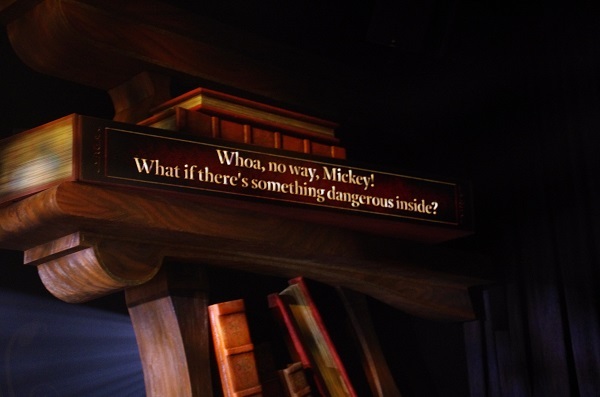 Mickey and the Wondrous Book is, essentially, Disneyland’s Mickey and the Magical Map. Mickey enters a fantasy world and travels through several Disney stories, accompanied by the stories’ characters who perform show-stopping songs from their stories (including a medley number featuring three princess, just as Magical Map does). That’s the basic summary of the show, but it doesn’t do justice to the magic that Hong Kong Disneyland has added to Mickey and the Wondrous Book. The storyline is enhanced and makes more sense than the inkspot story of Disneyland’s Magical Map (which I still think is a great show, but Hong Kong Disneyland’s Mickey and the Wondrous Book has shown me that even greatness can be improved upon). 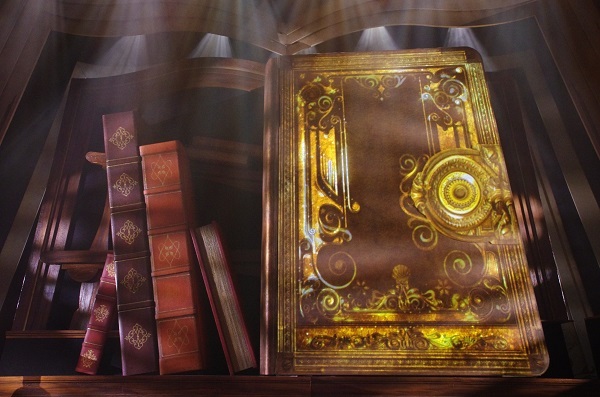 The curtain opens on another stack of books with a beautiful golden-glowing story book facing the audience. 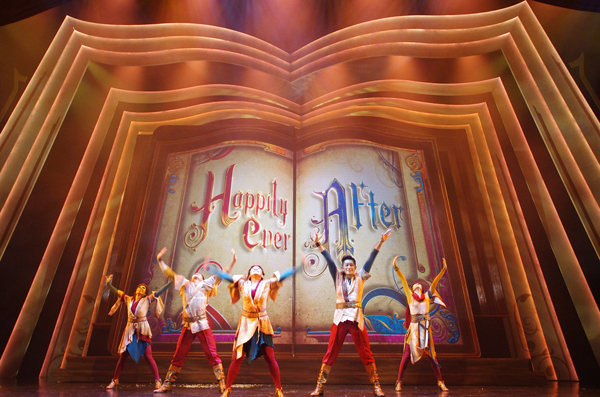 The theme of Hong Kong Disneyland’s 10th anniversary celebration is Happily Ever After and that’s also the opening number, tying everything into the storybook theme of the show. 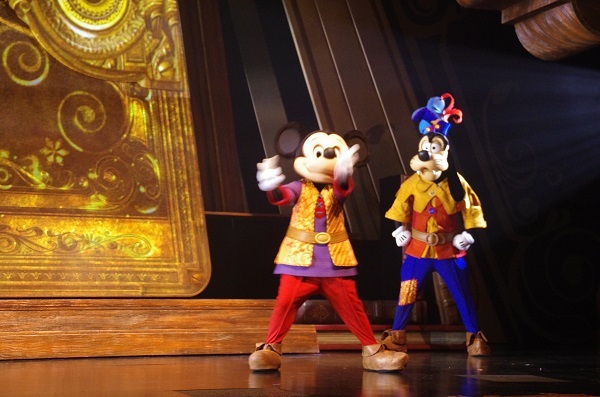 Mickey and Goofy then arrive on stage, bringing the audience into the show. 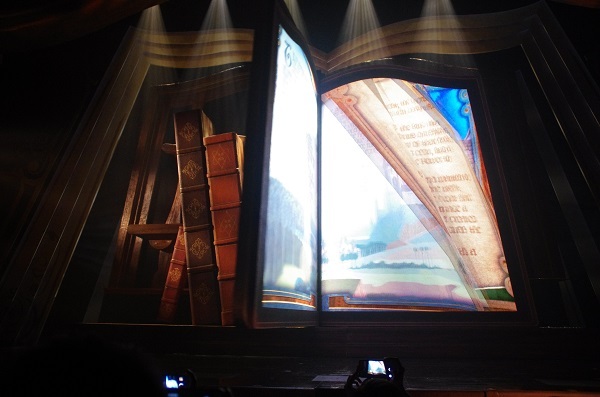 And then the real magic begins… that giant glowing book on stage? It opens! 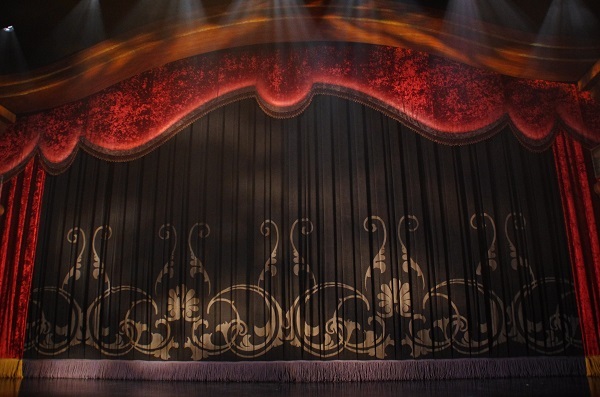 Unfortunately, the show suffered several technical glitches, shutting down the performance three times and causing the cancellation of the subsequent two days of previews, but, according to a cast member I know, it was running smoothly today during the cast member preview. 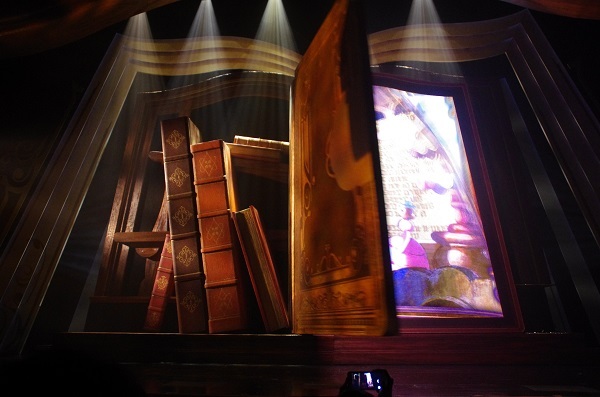 Sadly, the Golden Mickeys had to close to make way for Mickey and the Wondrous Book in Storybook Theater and Hong Kong Disneyland honored that with a tribute to the stories of the Golden Mickeys at the end of Mickey and the Wondrous Book. Don’t worry, though. 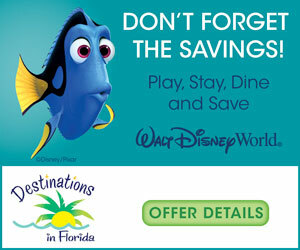 Disney Cruise Line continues to offer the Golden Mickeys on both the Wonder and the Magic. While the Golden Mickeys will be missed, I suspect that Mickey and the Wondrous Book will have its own place in people’s hearts. It’s a wonderful show, very well staged, gorgeous sets, magical dances and beautiful musical numbers, especially Tiana, who really shines in this show (last spoiler – I promise!). I predict that this show will be just as popular as the Golden Mickeys was, so plan your visits accordingly and expect to arrive early to make sure you get to see the show at the time you want. Congratulations, Hong Kong Disneyland, both on your 10th anniversary and your wondrous new addition!